Discovered by Pierre Méchain in 1781. Independently rediscovered by William Herschel in 1789. NGC 3953 (Messier 109B, M109B), like its neighbor NGC 3992 (Messier 109, M109), is one of the "Theta"-like barred spirals. This one is lying on almost the same RA but about 1 deg south of the mag 2.44 star Gamma Ursae Majoris (Phad, or Phecda). 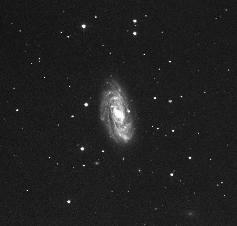 Its neighbor, M109, is situated just 40' SE of the same star. It is certain that this object, M109B (NGC 3953), is the one that was observed by Pierre Méchain on March 12, 1781, as is demonstrated (a) by the position reported by Méchain to Charles Messier, and (b) by the position given in the charts in the Fortin atlas (2nd edition of 1795, Fortin 1795). 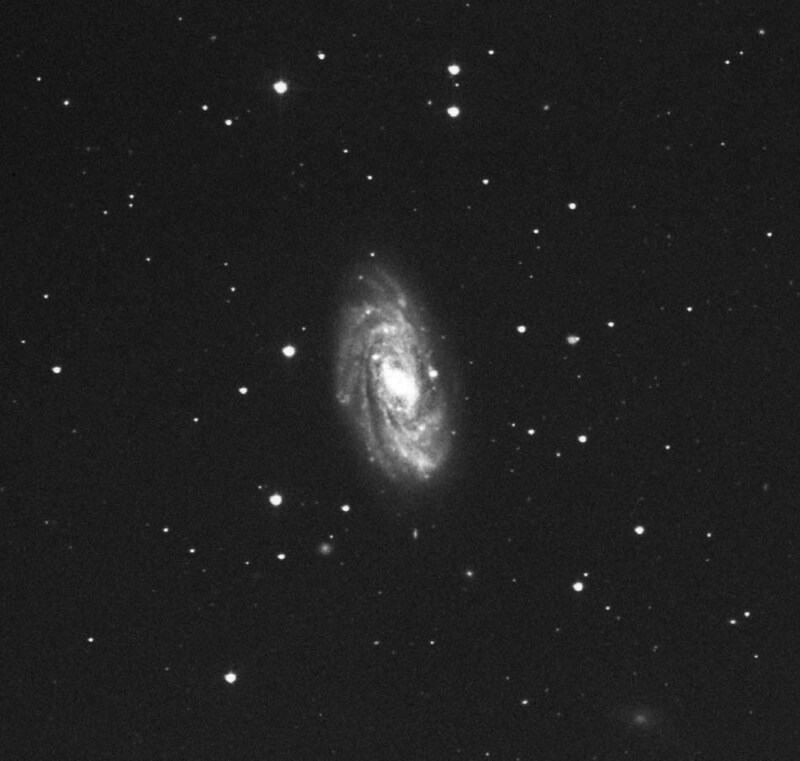 It seems that Charles Messier, when looking up this object on March 24, 1781, together with M108 when he measured M97, observed both this object M109B (NGC 3953), namely when recording its Right Ascension, and its neighbor M109 (NGC 3992) when recording its declination, without noting that he had observed two different objects. See the story and discussion of the identification of the two galaxies M109 and M109B. William Herschel independently found this object on April 12, 1789, the same date as M109, and cataloged it as H V.45. The image in this page was contributed by Martin Germano. It was obtained with his 14.5-inch f/5 Newtonian, exposed 120 min on hypered Tech Pan 2415. Supernova 2001dp was found on August 12, 2001 by M. Migliardi and E. Dal Farra of the CROSS team in Italy when it was at a brightness of 14.5 mag; it brightened to its maximum of 14.4 mag on August 12, and was observed until October 2001. This supernova was classified as of type Ia. Supernova 2006bp was discovered on April 9, 2006 by Koichi Itagaki of Japan when it was very young and at 16.7 mag. It brightened to a maximum of 15.1 mag on May 11, and was found to be of type II. Jean Fortin, 1795. Atlas Céleste de Flamstéed. Troisième Édition, Revue, corrigée & augmentée par les Citoyens Lalande & Méchain. Belin Lamarche, Paris. Images of the maps of this atlas are available online thanks to Henk Bril.